Megeve Ski Schools, Megeve Ski lessons, Ski Instructors..
ESF French Ski School, Book ski lessons direct via their website www.megeve-ski.com or email info@megeve-ski.com. Private lessons start at 46 euros an hour for 1 – 2 persons and 60 euros an hour for 3 – 5 persons. Adult group lessons and English speaking child group lessons start at 157 euros. Prices include five mornings of Instruction starting on Monday morning at 10.00am. FREEDOM SNOWSPORTS Bookings confirmed Immediately on-line at www.book.ski/contact/ personally tailored expert tuition for all levels, off piste and back country adventure. Prices start at £170 for a 2 hour lesson for up to 6 people. OXYGENE Ski School, www.oxygene.ski, private ski lessons cost 65 euros per hour. 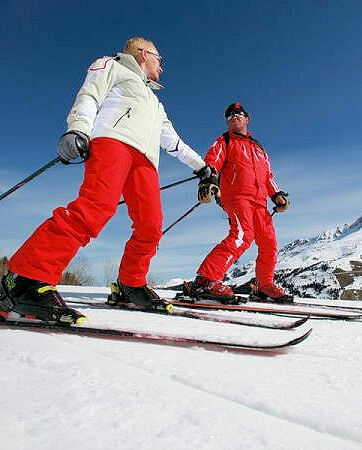 Ski Technique, an English Ski School offering private Instruction. www.ski-technique.co.uk, email: jarrod@ski-technique.co.uk. Prices start at £50 an hour for one person in low season and £60 an hour in high season, for an additional person the cost is £10 an hour. Ski Pros Megeve, Mike Beaudet is an American Independent Ski Instructor. Private and small groups, beginners to advanced. www.skiprosmegeve.com.